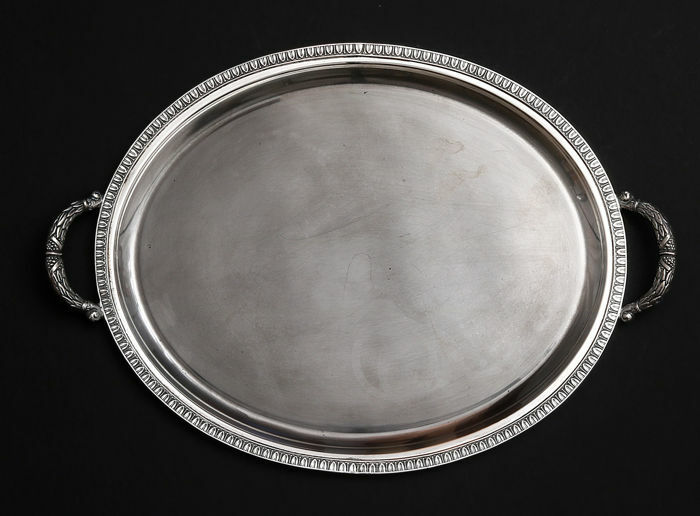 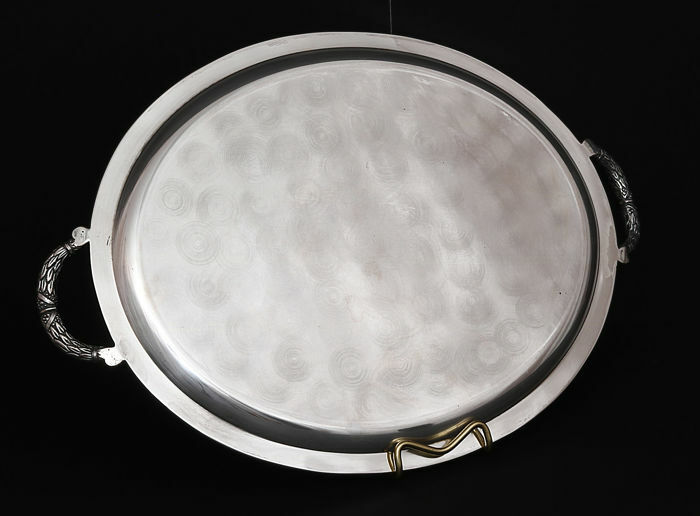 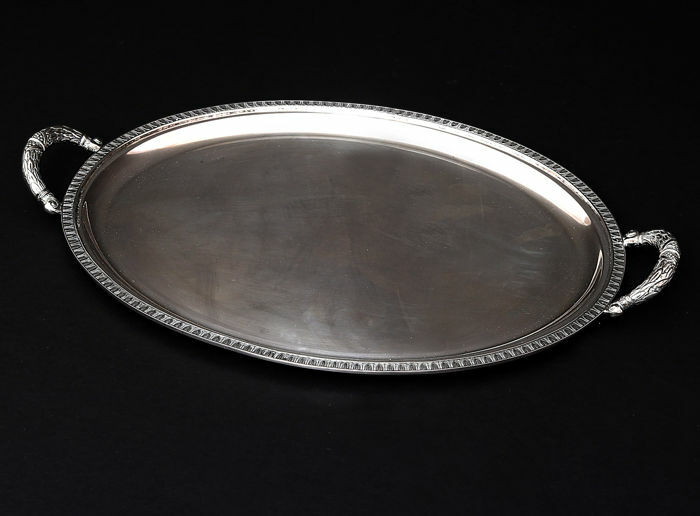 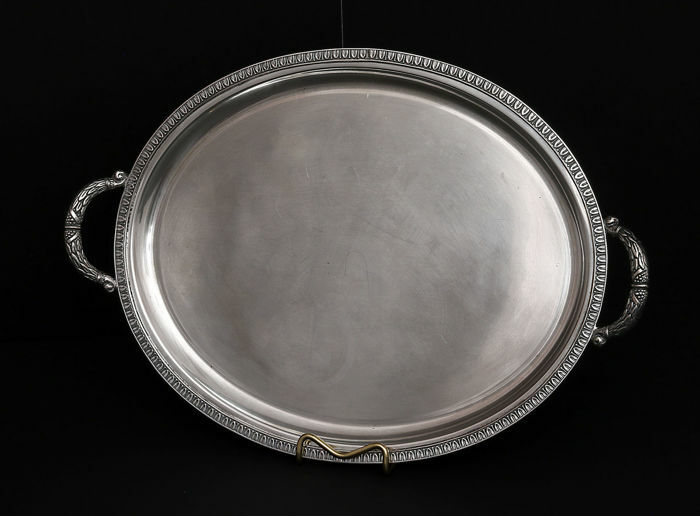 Two handled 800/1000 silver tray. Made in Palermo by Stancampiano Eugenio. 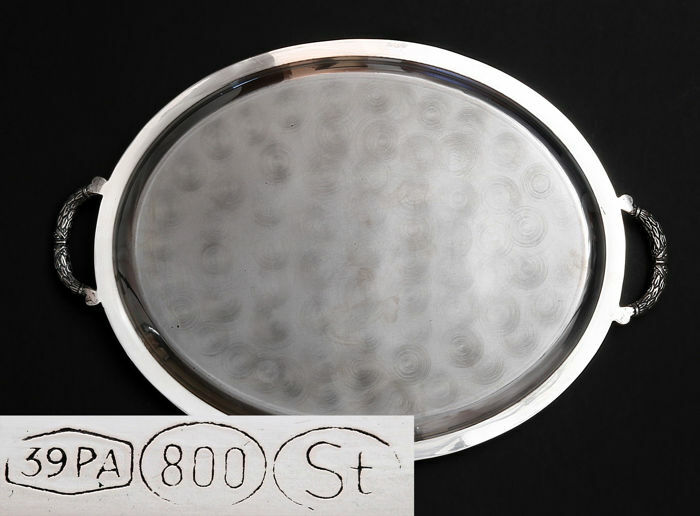 Silver marked 800 mark and silversmith. 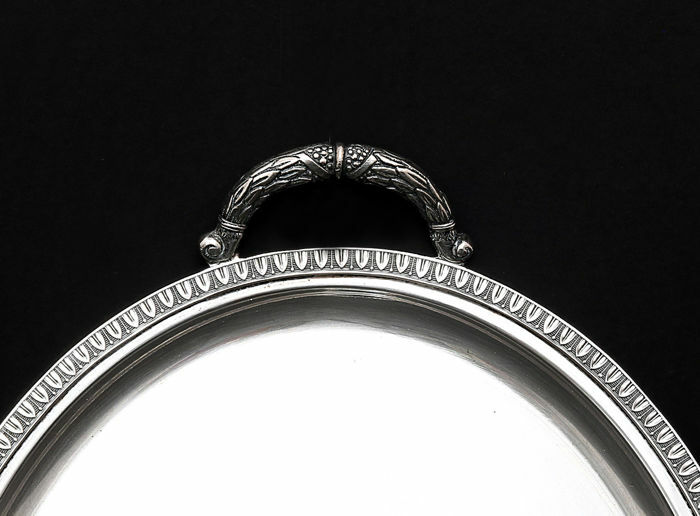 Length with handles 44 cm, without 37,5 cm. 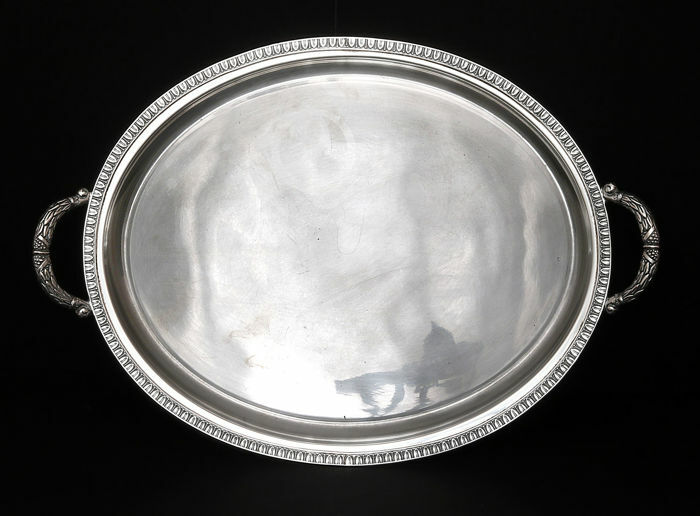 Weight of silver 1191 grams.